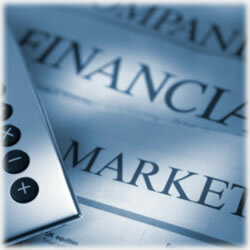 There are big changes in the immediate future for the collective American financial sector. Those changes include everything from the fees and conditions for your checking accounts to the fees credit card companies are allowed to charge users. And if you’re thinking the big week is due to the Federal Reserve’s efforts to cap the interchange fees associated with your various accounts, you might want to rethink it. Turns out, there’s no shortage of information and some of it’s quite contradictory. It’s not all that uncommon these days for folks to find themselves overwhelmed with the contradictions from various reports, news stories and even their own banks. One day, we might hear the recession is but a memory – still painful, but definitely a thing of the past. Turn the page in your evening newspaper or click on another link online, and you’re hit with story headlines that do anything but reaffirm the insistence of the recession being past us. For instance, the last week of June, two headlines read “New Study Reveals Americans Do Not Manage Their Money” and “Credit Card Defaults Decline Again.” As with most things, the truth lies in the middle. That’s still not much of a help, though, if you’re looking for a new credit card offer. The best avenue for any of us is to compare offers and make our choices based on our own unique needs rather than the one with the most rewards points. To do this, you have to at least have a good understanding of what these headlines mean, especially for the long term. As mentioned, there’s a new report released by the Fed offers up quite a few disconcerting realizations. Many American households have no long-term plans in place for retirement and most have no emergency savings in place for unexpected emergencies. But is it because we’ve become irresponsible or careless? The National Bureau of Economic Research believes Americans simply do not have the necessary skills to adequately manage their finances, especially their credit card debt. You might be surprised to learn that a majority of Americans have found themselves in varying degrees of hot water over the past 36 months because of a late credit card payment. This doesn’t even take into consideration those who also had homes foreclosed. One half of Americans have problems making their monthly expenses. Less than half have that emergency fund that was mentioned above. Before you panic and convince yourself that it’s just a matter of time before your own credit takes a hit, ask yourself a few questions. First, how many credit cards do you own? If you possess less than four, your chances of financial trouble are lowered. Another question to ask yourself is whether you make only the minimum payment or do you pay more than that each month? Not many of us pay our credit card statements in full these days; again, this is due to the tough financial setbacks of recent years. How about a checking account? Do you own one? If you do, you’re part of about 70% of Americans who do have traditional bank accounts and if you don’t, you already know the hefty fees that come with getting a payroll check cashed. Those fees add up, too over the course of a year. Are you a conscientious consumer who’s always on the look out for ways to save money? You’re probably one of those who carries a low interest credit card and might have even taken advantage of an intro 0% APR credit card so that you could consolidate your balances. It’s those little things that really add up. One credit card offer with a 0% APR is the Discover More Card with an 18 month promotional balance transfer. It allows for more than a year to pay debt down with no interest fees. No worries about annual fees, either, since it’s waived the first year. Avoiding late fees, over the limit fees and returned check charges from your bank can equate to big savings each month and that money, of course, can be used to pay down your credit card debt. There’s no doubt the operative lesson in these many reports is that discipline rules.